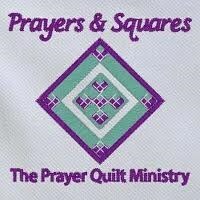 Due to unexpected changes in our family schedule in Feb-ruary – which conflicted with the EUMC schedule – Prayers & Squares will meet twice in March. Please consider coming to one or both of our ministry meetings scheduled for Thursday, March 7th and Thursday March 21st. We will come together in Fellowship Hall Rooms 1 & 2 from 10 am to 3 pm on both days which will hopefully fill the gap left by having to cancel our Feb. gathering. If you’ll be joining us for lunch at 12:30, remember to bring a bagged lunch and beverage, refrigerators are available. There are many opportunities to help in one way or another – and some help does not involve sewing ability or experience. If you are willing, we will train you for anything that may be needed and if you choose, you may take something home to work on, and return it at your convenience. There are many benefits to serving in this ministry, including making new friendships, and enjoying the warm fellowship created in serving others in the name of Jesus Christ. Please know that you are most welcome to come to our gatherings and observe without obligation. We are an open door ministry which means that you can arrive anytime after 10:00 am and leave whenever your schedule asks you to be elsewhere. In case new eyes are reading this, you are not committed, nor are you expected to be at every gathering. Just be there when you are able, and we’ll always be grateful for your help. Please call me or email me if you have any questions or are wondering how this ministry works. Thank you for taking the time to read this, and I hope to see you soon.